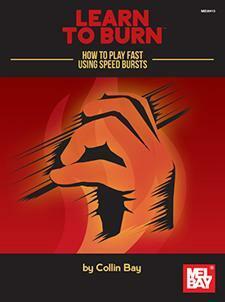 This book is written for string instrumentalists who want to learn to play faster. Students start with two notes and build to longer, more intricate bursts of notes. The book's simple methodology provides a strong mental and physical foundation for picking or plucking virtuosic passages. Although not written for bowed instruments, the methodology could easily be applied. This concise approach is a comprehensive system for learning to play fast, addressing all the variables specific to string instruments. Book shows illustrations on guitar,but the book is applicable to fretted string instruments. 12 pp.